This week, Amy suggests that we share everyday moments. Those moments around home aren’t often considered photo-worthy, so Amy allowed us to share the everyday moments of those we encounter while travelling, if we so choose. You can read Amy’s entire challenge post here. 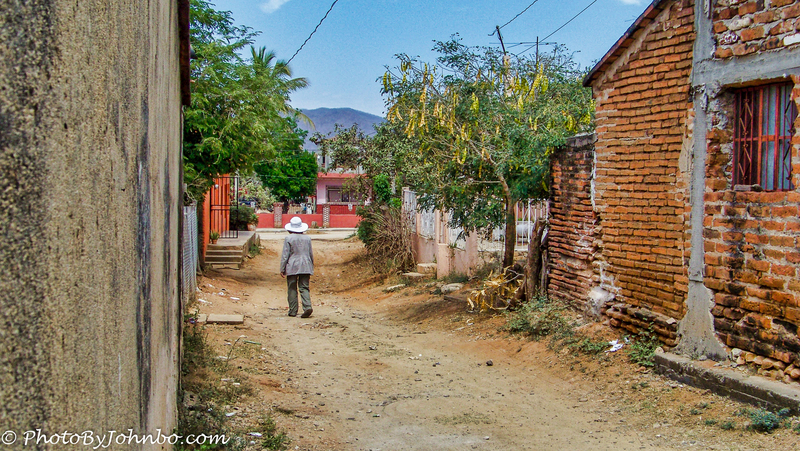 Since my son and his wife got married in Mexico over a decade ago, we’ve made several trips south of the border, mostly to Mazatlan, but also to other places. In that time, I managed to capture some everyday moments of the people who’s communities we visited. 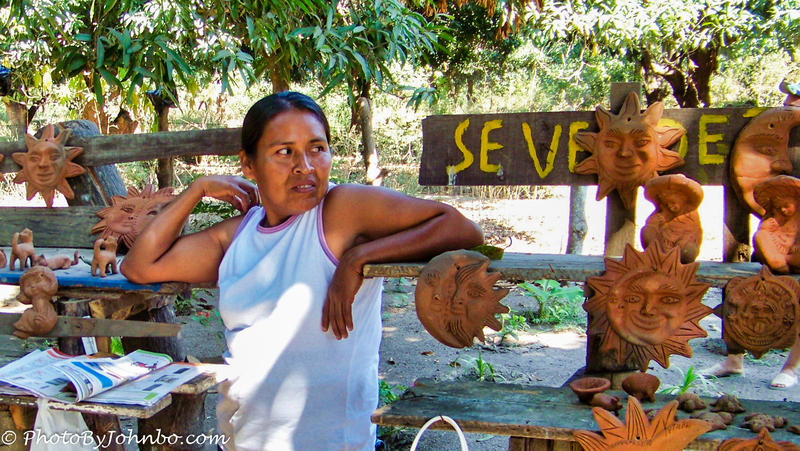 In the opening photo, a ceramics vendor is concentrating on something off to her left. 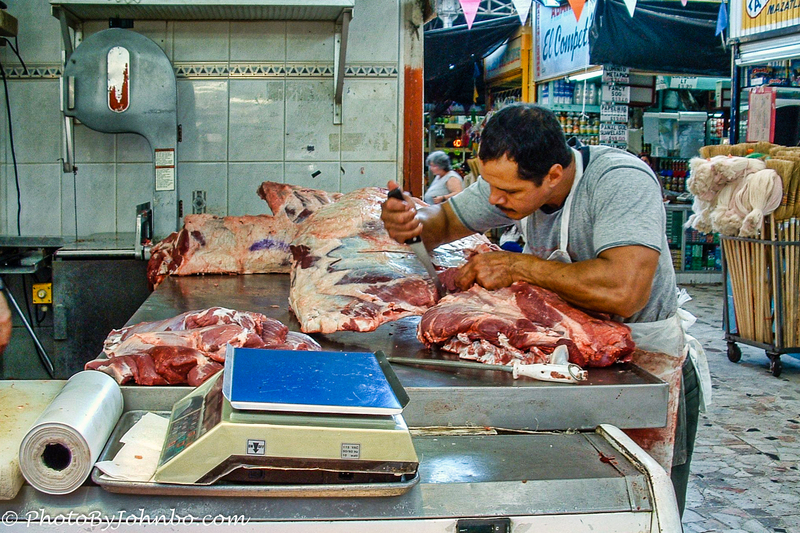 A warehouse market in Mazatlan allowed me to capture some of the everyday lives of the vendors such as this butcher concentrating on a cut of meat. 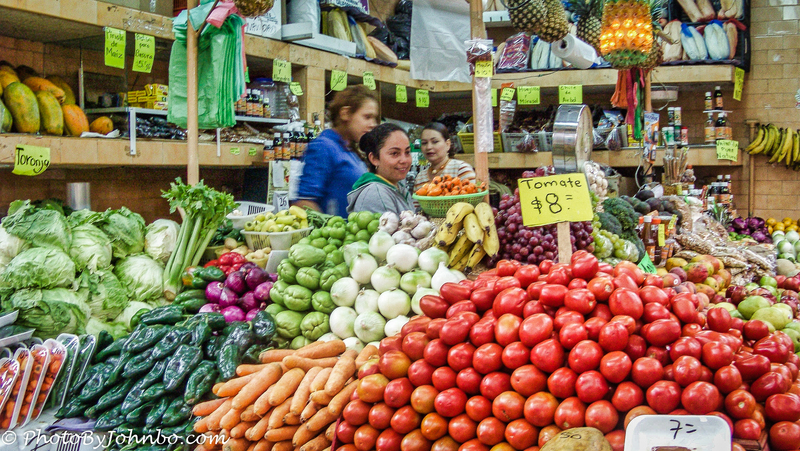 In the photo below, a vegetable vendor displays the colorful collection of fresh veggies. My last two images feature street views of people on the street tending to their daily business. 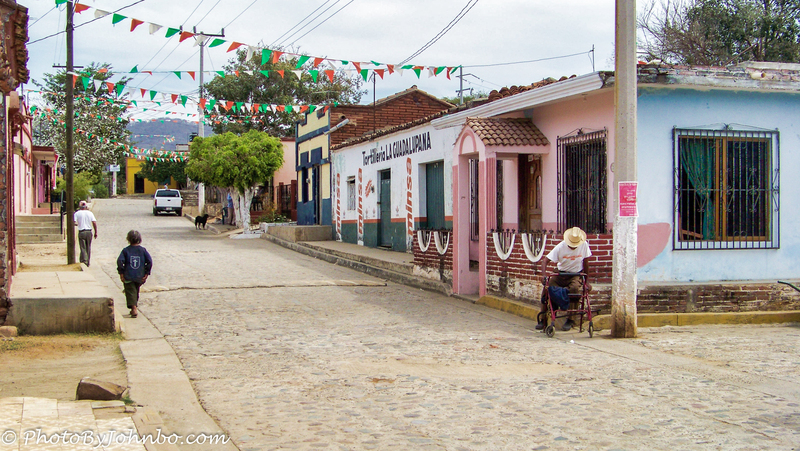 Both of the images were captured in the small town of Malpica, Sinaloa, Mexico which is located about 35 minutes inland from the coastal city of Mazatlan. If your browser supports it, clicking on an image will give you a more highly detailed, enlarged version of the image. I hope you enjoyed this quick trip to Mexico. I need to do more street photography. It is an area that I have avoided. Not really sure why. Great idea John – very unusual scenes for you! Well done. Thank you. I need to do more street photography. I am going to work on it.